Thomas Le Clech: ‘The traditional way is to mix the batter by hand. Birds Cafe. Two pan-flipped pancakes are made to order here at breakfast, lunch or teatime. Quality fillings include cinnamon sugar, or proper maple syrup with homemade bacon. 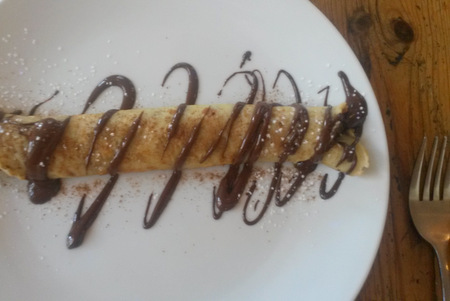 After sampling a creamy 70% Lindt chocolate-and-Nutella pancake, I recommend sharing – one pancake was sufficiently filling. Bree Street, Cape Town. 021-426-2534. La Rozell. Breton Thomas Le Clech is a French lecturer during the week, and people queue for his traditional sweet crêpes on Saturdays. ‘My mother was a crêpe maker too,’ he explains. ‘I make crêpe on the billig, scraping it with a wooden rozell.’ On the savoury side, Le Clech makes the only buckwheat galettes in town – try his ‘full house’ galette of cracked egg, cheddar and Parma ham; with tomato and rocket topping. Oranjezicht City Farm Market. 079-700-1274. The Famous Pancake House. These signature Dutch fluffy, soufflé-style sweet and savoury pancakes were much loved in the nineties. Wilma Botha and daughter Odette recently resurrected the family business, and now co-own this popular tourist eatery. Although pricier, they have a following for pancakes crammed with banana in Muscadel, or chicken livers in cream sauce. Huguenot Street, Franschhoek. 021-876-4788. The Wicked Waffle. 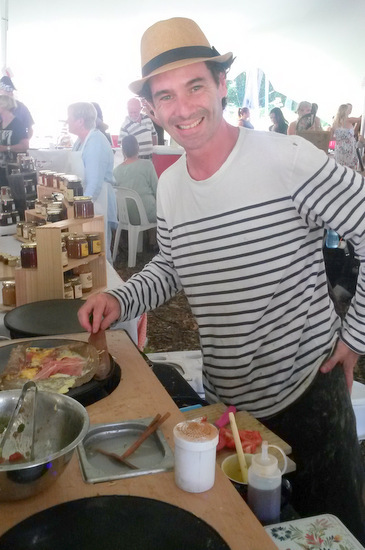 Belgian Gino Adriaensen started producing traditional waffles in Knysna, and crêpes were a natural progression. His mixture includes peanut oil for earthiness, but otherwise it’s the same recipe used by the French and South Africans. Sweet fillings include cinnamon sugar, Belgian milk chocolate, fruit, cream and Nutella. Bay Harbour Market (Fri night, Sat and Sun), Hout Bay. 082-674-0182, The Wicked Waffle. This appeared in The Times on 4 March 2015.